Saunder Powell- Loney, a teacher at Parry Town Primary in St. Ann (centre) happily collects a brand new HP notebook PC from Delano Barnett, (3rd right), Head of Business Solutions at Appliance Traders Limited (ATL). 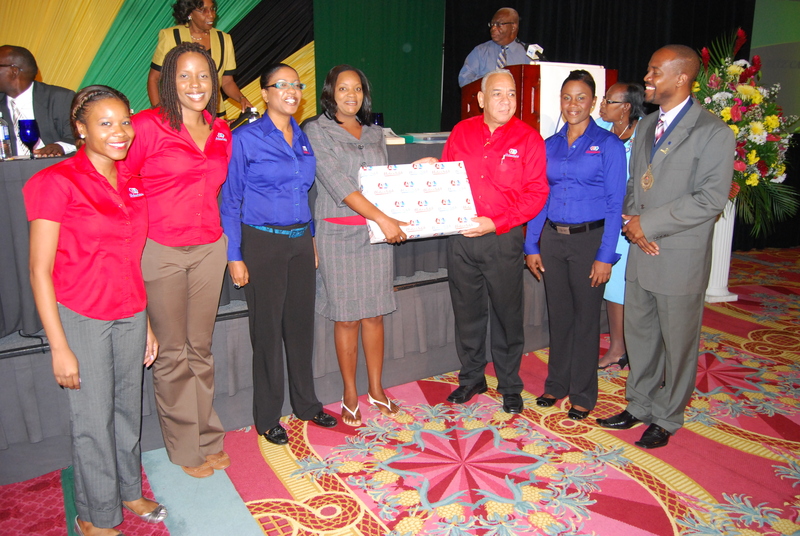 The notebook was given as a raffle prize at the recent 48th annual Jamaica’s Teachers Conference (JTA) held in Montego Bay. Flanking them are (left to right): Tonya Russell and Roxanne Miller – ATL Marketing, Sherine Grant and Ann Marie Bernard – ATL Sales and president of the JTA Clayton Hall. 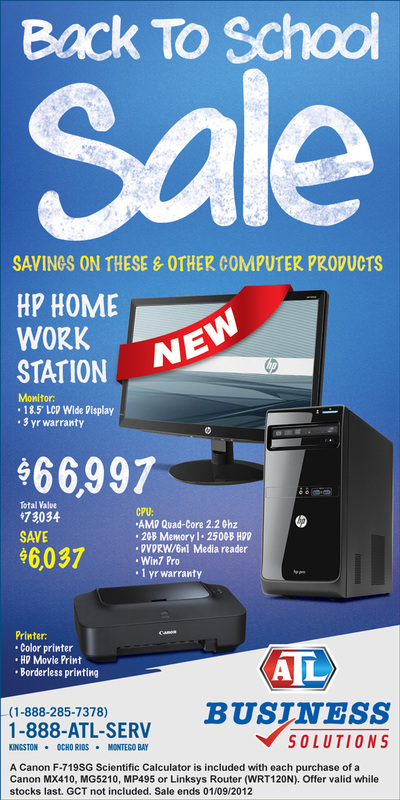 HP Multiseat Computing Solution – the easier and more affordable way to expand your computing resources while doubling the PC experience on the same budget for your school or business. 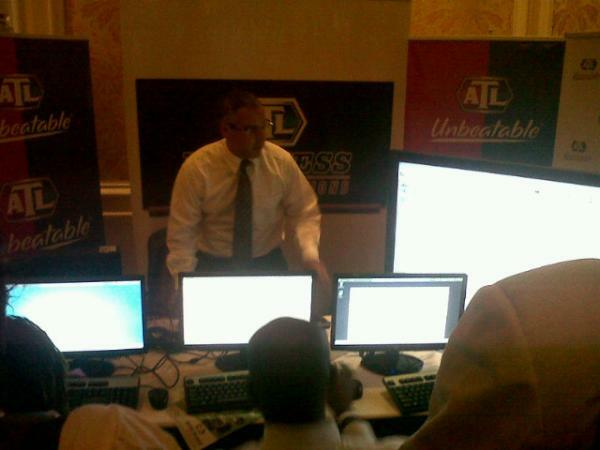 Contact 1-888-ATL-SERV (285-7378) to speak with an ATL Business Solutions representative today! HP rep Polo Sanchez demonstrates how the cost saving HP Multiseat works for teaching students in the ATL booth at the JTA Conference at the Ritz Carlton in Montego Bay Jamaica. 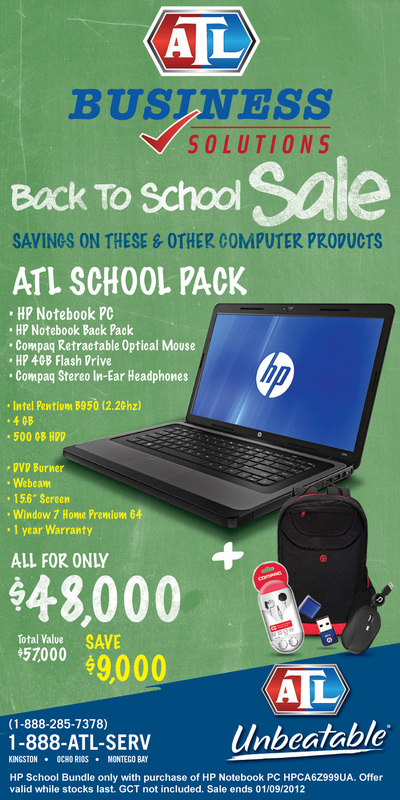 Get the ATL School Pack!